As I was sitting in my bed this morning I started to think about new goals I wanted to make for the new year. 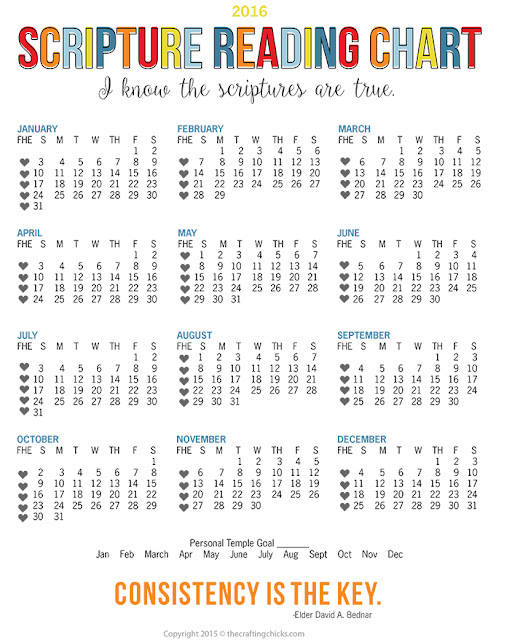 Scripture study is at the top of my list and I started to look for ideas and resources for our family scripture study this coming year and was blown away with all of the fun, inspiring ideas out there! I decided to keep a running list on this blog post for all to see -- so if you have any free/low cost ideas please share them below! Have you heard of BofM365? This is a fabulous way to study the Book of Mormon, especially for those who love social media. I studied using their Instagram account last year. It's simple. They share a daily section of scripture you study that day (along with beautiful images) and you study those verses and like, discuss, and share on Instagram and/or Facebook. I found myself learning so much from the inputs of others as they share what they learned from studying those certain verses. While searching, I found a wonderful list of titles for EVERY PAGE in the Book of Mormon -- not just chapters. 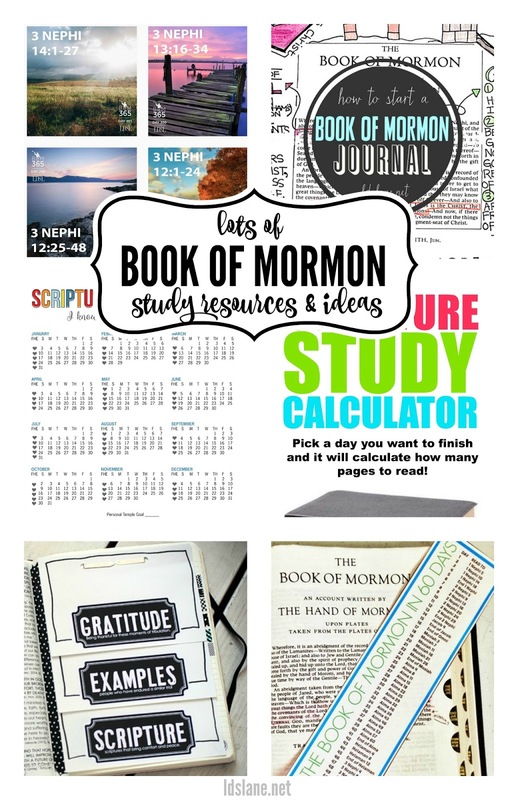 I plan on using these for my Book of Mormon journaling that I just started a few months ago! 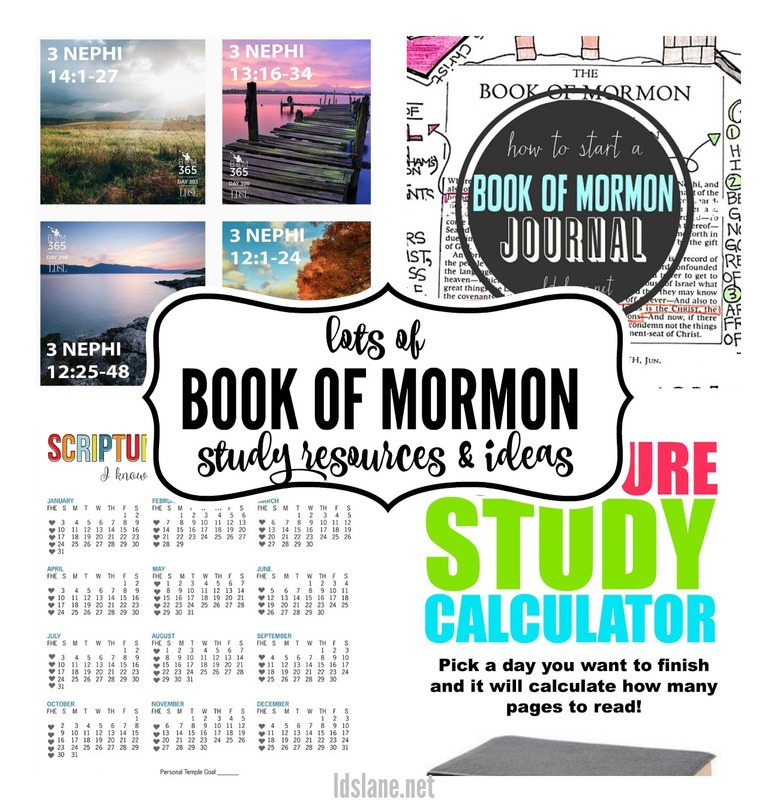 Make sure to check out the MANY other amazing resources The Red Headed Hostess offers for studying your scriptures! Personally, this has to be one of my very favorite resources I found a few months back because I'm a "doodler" and love to draw. 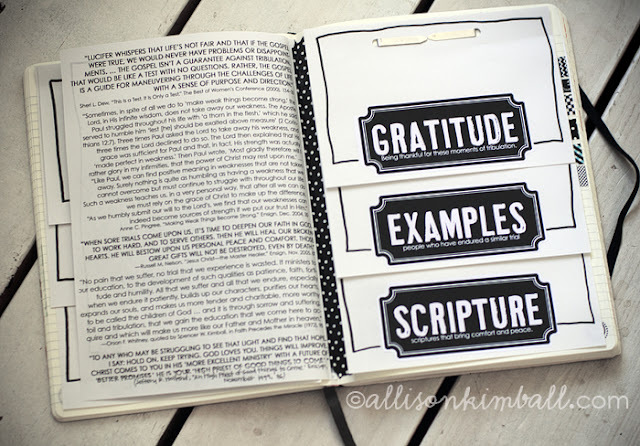 I've been seeing so many Bible Journaling ideas on social media for the past year and really wanted a Book of Mormon version -- but I couldn't find anything like it anywhere. I did find a creative gal who cut up the pages and glued them into an art journal, but I wanted something that wasn't that time consuming. To my SURPRISE .... I found a resource that blew my mind. I found a genius man (Brad Jackman), who created a wide margin pdf download of the Book of Mormon. You can also find the other standard works for download, too. 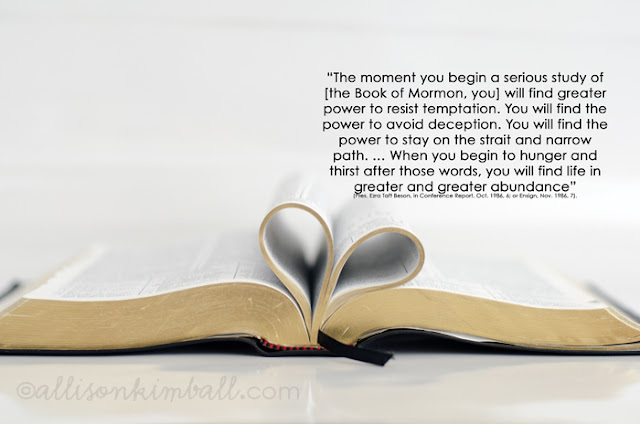 I find myself studying the Book of Mormon more intently along with doing what I love...CREATING. I came upon another fabulous resource that I want to share with you! I love this because it's MORE than a scripture chart. 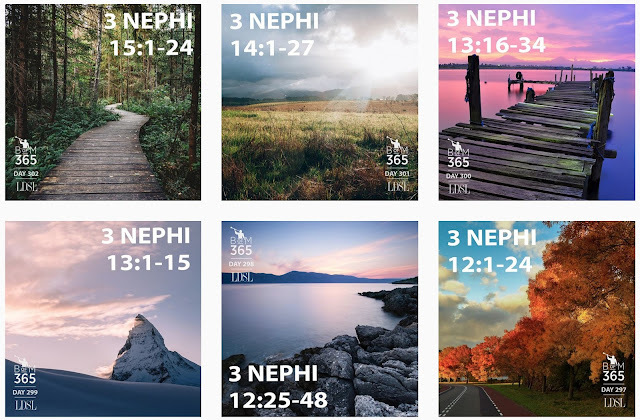 Not only can you keep track of your family's scripture reading by checking off the dates with markers or stickers, but you can also keep track of your Family Home Evening and temple attendance! Find this chart with the 2016 primary theme and/or the YW theme. Both are available in 8.5×11″ or 16×20″ so you can choose which will be best in your home. 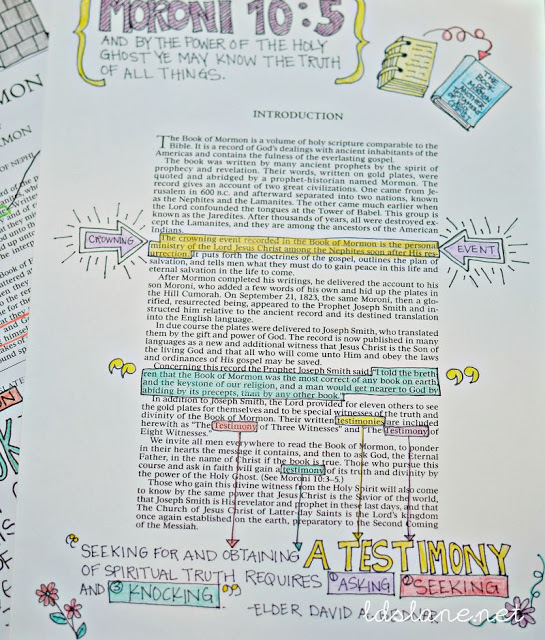 There are so many different ways to study our scriptures and sometimes it's inspirational (and fun!) to read them quickly and consistently in a small time frame. 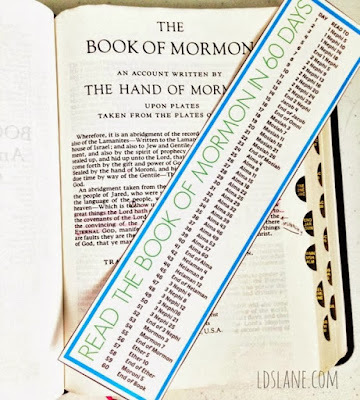 I created this Read the Book of Mormon in 60 Days bookmark that can keep you right on track to finish in a couple months. Today I found Allison Kimball who is incredibly creative. 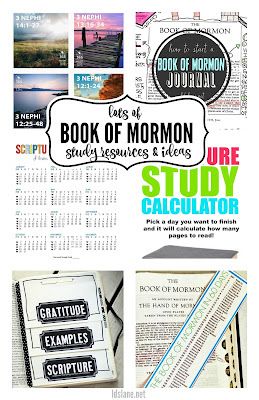 She shares MANY free LDS-themed downloads along with scripture journaling ideas, pocket pages, doodle pages, etc. You'll also find beautiful posts about why she loves to journal and study this way....so inspiring. I hope you enjoy these resources and as I continue to find more (I'm sure I've left out many! ), I'll add them to this blog post so they're all in one place! 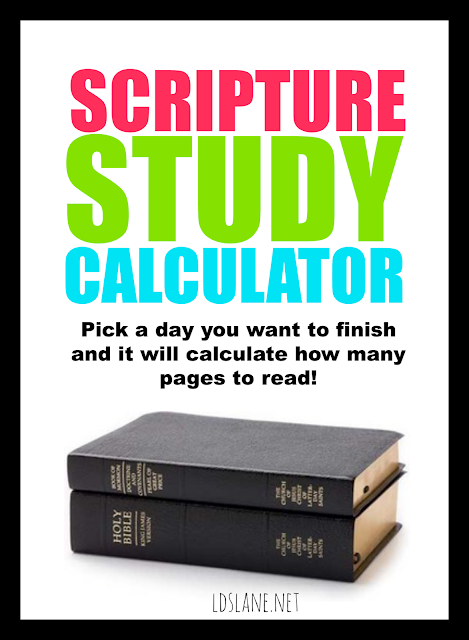 Have any free or low cost scripture studying ideas that have helped you? Please share them below!